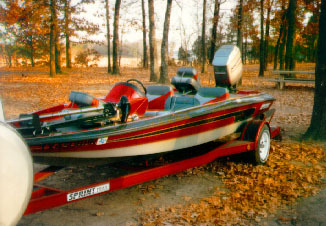 This is my 266 Sprint (16.6ft) with a 115hp Mariner. Top speed almost 60 mph. The big boys may run, but they can't hide. A great little boat and something I can afford on my retirement income. 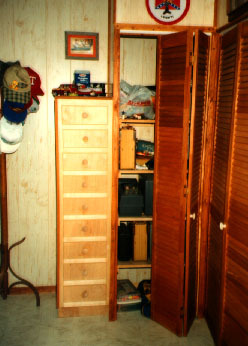 When I built the house, I built a place to put my fishing stuff, I wanted to put the rods beside the worm cabinet but it didn't work out that way, just too many of them. 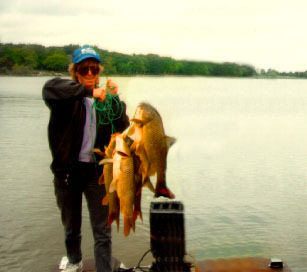 I use G*Loomis and Allstar rods with Shimano Calcutta and Curado reels. 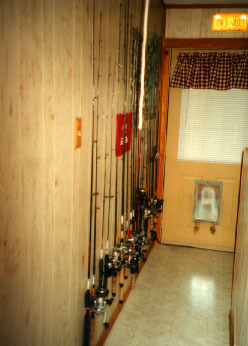 The spinning stuff is a variety of things and used mostly for Crappie, Bream and Trout fishing. The cabnet holds worms, spare lures, line and stuff. Tawakoni is a great Sand Bass fishing lake. Limit = 25/day. 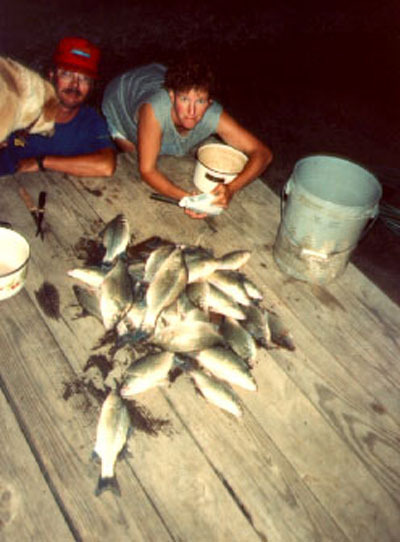 I never knew what a blast Carp fishing could be till we caught this bunch at Lake Tawakoni.